The Cardinals baseball returned to action this weekend with a thriller in the season opener against the West Virginia Mountaineers. Louisville won in extra innings, a 7-6 triumph thanks in part to senior outfielder Jeff Gardner. Gardner hit a walk-off home run in the 10th inning to give the Cards a win to start the season. The victory was anything but according to plan, Louisville had a 5-1 deficit to overcome headed into the bottom of the fifth inning, but scored three runs in the next two innings, to cut the lead to just two runs, 6-4 headed into the seventh-inning stretch. 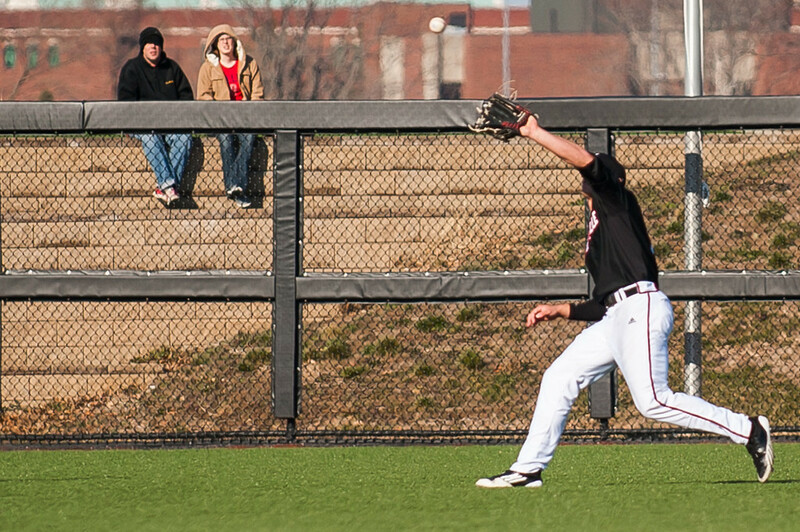 Senior outfielder Cole Sturgeon singled to left field to start the eighth inning, then stole second. Gardner doubled down the right field line to send Sturgeon home and cut West Virginia’s lead to one run. Sophomore first baseman Danny Rosenbaum doubled down the right-field line, bringing Gardner home and tying the game up. With both teams going scoreless for the following frames in regulation, the Cards saw extra innings in its season opener. Headed into the 10th, WVU first baseman Ryan McBroom reached on an error by sophomore shortstop Jordan Striegel, and catcher Cameron O’Brien was walked by Nick Burdi to put runners on first and second for the Mountaineers. But West Virginia failed to capitalize, leaving two men on base, and the door wide open for Louisville in the bottom of the 10th. Gardner gave Louisville its first walk-off win on a home run since the 2010 season and got the Cards their first victory of the season. Saturday didn’t go as well for the Cards, Louisville was defeated by the Citadel on day two of the Homewood Suites Tournament in Charleston, South Carolina. U of L led the Citadel 3-1 in the middle of the sixth inning, but the Cardinals allowed the Bulldogs to plate two runs in the bottom of the sixth to even it up. The Citadel went on to score another run in the seventh, and one in the eighth with no answer from the Cardinals. Louisville junior left-hander Kyle McGrath got his first loss on the season, after allowing two runs on two hits with two strike outs. The Cards closed the weekend strong with a 5-1 routing of Delaware. Following the loss on Saturday, Louisville came out swinging in the first inning. Sturgeon singled and advanced to second on a wild pitch to start the inning, freshman Colin Lyman walked to put runners on first and second. Junior Grant Kay was hit by a wild pitch, and the bases were loaded with no outs. Gardner tripled down the right-field line to bring Sturgeon, Lyman and Kay all home. Rosenbaum flied out to right field and brought Gardner home. And just like that, the Cards were up 4-0 after the first inning. Later, in the fifth inning, Junior Zach Lucas grounded out to third base and got a run batted in sending Kay in for Louisville’s fifth run. Delaware answered with one run in the top of the sixth, but the teams would remain scoreless for the next three frames to keep the game at 5-1, giving Louisville its second win of the season. The Cards head back to Jim Patterson Stadium for the home opener. Louisville will face off with Eastern Kentucky Wednesday at 3:00 pm.